We have a team of excellent trainers and coaches to assist your organization with rolling out Candor’s ideas. 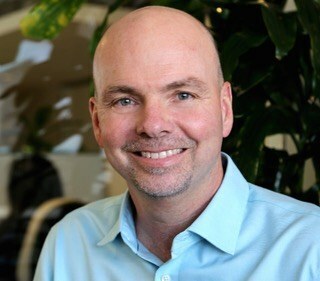 Joe Dunn started his career as an engineer, then became a manager and executive, building engineering and product groups at startups around Silicon Valley. His experience ranges from being one of “three guys in a garage”, to leading engineering through an IPO, to creating an early dot com that successfully exited. As a coach and mentor, Joe’s focus is bringing Emotional Intelligence and the human sides of ourselves to organizations at scale. Stephanie Usry is a driver for early-stage companies. From her time as one of the first employees at HotelTonight to her current role building the Learning and Development programs for 1500 (and counting) employees at Pure Storage, Stephanie understands what it’s like to be an employee, manager, and leader in high-growth startups. Stephanie consults with growth stage companies as a Life Coach and management consultant, bringing powerful trainings to growing organizations. Mike Pugh is a tech entrepreneur, marketing leader, and participant in over 25 M&A deals. As part of the founding team at eFax, and later as a GM and head of marketing at j2 Global (NASDAQ: JCOM), he built a highly-profitable $300M SaaS business. Mike now consults on change management and organizational development, with a focus on marketing, product, and tech teams. A funny thing happened to Amy Sandler after getting her MBA at Harvard: she went to film school and became a meditation expert. 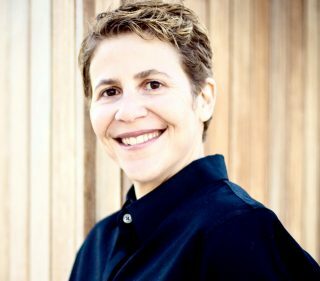 With more than 20 years in senior roles in organizations including YPO, Vistage and UCLA, Amy is one of the first 30 certified teachers of the Search Inside Yourself program developed at Google; a five-time fire-walker; and featured on the Simple Habit meditation app. As a speaker and coach, Amy helps leaders and teams align their purpose and optimize performance through mindfulness and resilience-training. Farrah Mitra is a strategy consultant-turned executive coach, facilitator, and People & culture consultant. She champions and invests in those she works with and empowers them to both shift their mindset as well as leverage the practical frameworks and infrastructure they need to drive their success. Radical Candor hits the sweet spot. Farrah is a true believer in the power of Radical Candor to enable the growth and development of others and the success of organizations. Farrah has experience working with traditional firms, having worked at Bain & Company for more than a decade. She also enjoys working with startups, having built the People functions at two hyper-growth tech companies. Farrah has significant experience in understanding the pain points when it comes to leadership and the employee experience, especially in ambiguous, fast-paced environments. Farrah loves to work at all levels in an organization whether it be with executives, new leaders, or those early in their career. Get in touch to talk about having one of the Candor Trainers come to your company or event.